Tânia Bandeira Duarte's practice addresses the processes of becoming an object through sculpture, drawing and mixed media installations. She is interested in the object as a result of a process of deconstruction of thought and its transitional condition between real space and illusion. As it takes shape in the space of the gallery, she sees the work as a reflection of mental construction. She explores a notion of mental space as a metaphor, drawing a parallel with the space of an installation. Currently, she is also exploring the process of time and its operation in space. Notions of temporariness, fragment and disintegration, melancholy or nostalgia are often part of her work. 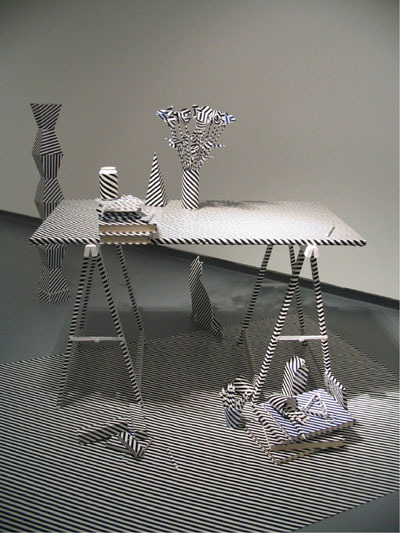 Tânia Bandeira Duarte's installations are abstract systems in which each element is treated and used as a separate entity possible to recombine, sometimes creating different displays for one same piece. In some occasions, this changing of the elements can also be performed by the viewer that thus becomes involved in the physical experience of the piece. The artist is interested in the notion of participation and she sees the change and the temporariness of each stage of a piece as an equivalent to the speed of thought. A constant questioning about form, representation, processes and attitudes is the major concern of her practice. 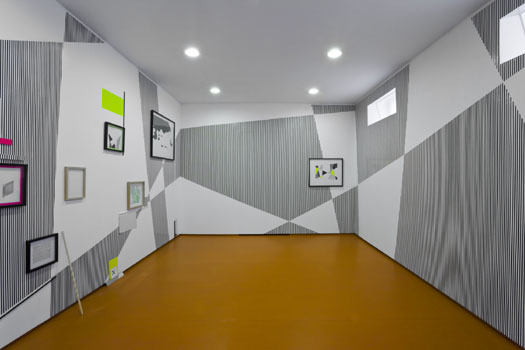 Galeria Presença and click on 'Artistas', followed by 'Tânia Bandeira Duarte'.